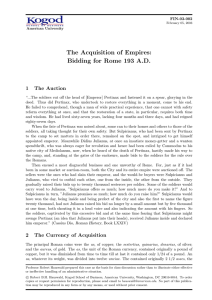 The Acquisition of Empires: Bidding for Rome 193 A.D.
Elagabalus /ˌɛləˈɡæbələs/ or Heliogabalus (Greek: Μάρκος Αυρήλιος Αντωνίνος Αύγουστος; Latin: Marcus Aurelius Antoninus Augustus; c. 203 – March 11, 222), was Roman Emperor from 218 to 222. 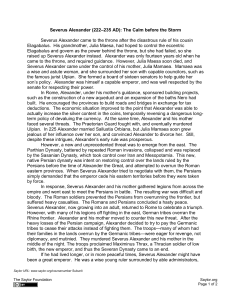 A member of the Severan Dynasty, he was Syrian, the second son of Julia Soaemias and Sextus Varius Marcellus. In his early youth he served as a priest of the god Elagabal (in Latin, Elagabalus) in the hometown of his mother's family, Emesa. As a private citizen, he was probably named Sextus Varius Avitus Bassianus. Upon becoming emperor he took the name Marcus Aurelius Antoninus Augustus. He was called Elagabalus only after his death.In 217, the emperor Caracalla was assassinated and replaced by his Praetorian prefect, Marcus Opellius Macrinus. 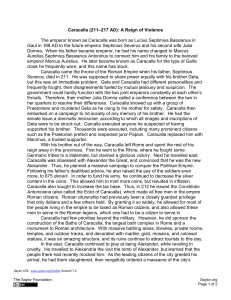 Caracalla's maternal aunt, Julia Maesa, successfully instigated a revolt among the Third Legion to have her eldest grandson (and Caracalla's cousin), Elagabalus, declared emperor in his place. Macrinus was defeated on 8 June 218, at the Battle of Antioch. Elagabalus, barely fourteen years old, became emperor, initiating a reign remembered mainly for sexual scandal and religious controversy.Later historians suggest Elagabalus showed a disregard for Roman religious traditions and sexual taboos. He replaced the traditional head of the Roman pantheon, Jupiter, with the deity of whom he was high priest, Elagabal. He forced leading members of Rome's government to participate in religious rites celebrating this deity, over which he personally presided. Elagabalus was married as many as five times, lavished favours on male courtiers popularly thought to have been his lovers, and was reported to have prostituted himself in the imperial palace. His behavior estranged the Praetorian Guard, the Senate, and the common people alike.Amidst growing opposition, Elagabalus, just 18 years old, was assassinated and replaced by his cousin Alexander Severus on 11 March 222, in a plot formulated by his grandmother, Julia Maesa, and carried out by disaffected members of the Praetorian Guard.Elagabalus developed a reputation among his contemporaries for extreme eccentricity, decadence and zealotry. This tradition has persisted, and in writers of the early modern age he suffers one of the worst reputations among Roman emperors. Edward Gibbon, for example, wrote that Elagabalus ""abandoned himself to the grossest pleasures and ungoverned fury."" According to B.G. Niebuhr, ""The name Elagabalus is branded in history above all others"" because of his ""unspeakably disgusting life.""